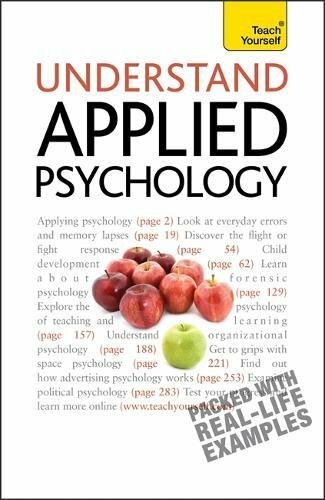 Understand Applied Psychology shows how basic psychological processes are relevant to everyday situations and contexts. From education to occupational psychology, this book provides a comprehensive look at psychology in almost every area of day-to-day living. It covers 18 different areas of applied psychology, explaining how psychologists work in the community as a whole and how psychology is applied to working life and broader aspects of living. The book also includes well-developed but unknown areas such as space psychology and eco-psychology, showing the scope of applied psychology and giving ideas for other areas where it could usefully contribute to our everyday lives.